The lifetime of confinement is 100 years. 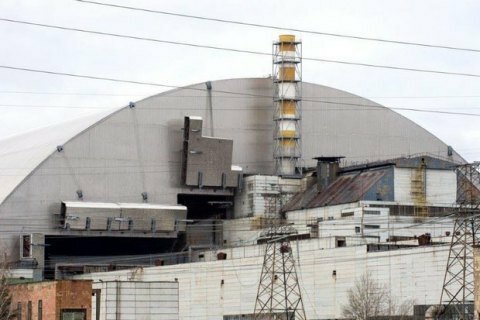 President Petro Poroshenko says the new confinement over the destroyed fourth power unit of the Chornobyl nuclear power plant will be put into operation in November. "On November 30, 2016, we solemnly completed the first stage of the plan by installing the confinement over the old sarcophagus at the 4th power unit. In November 2017, we plan to commission this confinement," Poroshenko stated during his visit to Chornobyl on the occasion of the 31st anniversary of the disaster. The president thanked Ukraine's international partners for the assistance in constructing the confinement and noted that the projected term of its operation is 100 years. The 1.5 billion euros funds for the construction of a new confinement have been collected by donor countries of the Chernobyl Shelter Fund and administered by the EBRD. The confinement's arch is 110 m high, 165 m long, and its span is 260 m. The huge arch was built from two parts, which were connected in the summer of 2015. The purpose of the arch is to protect the environment from radioactive radiation, and provide the possibility of dismantling the unit's structures and the removal of nuclear waste.